Profitability from machining a part is dependent on the machine type, cutting tool, cutting conditions and the interaction between them. 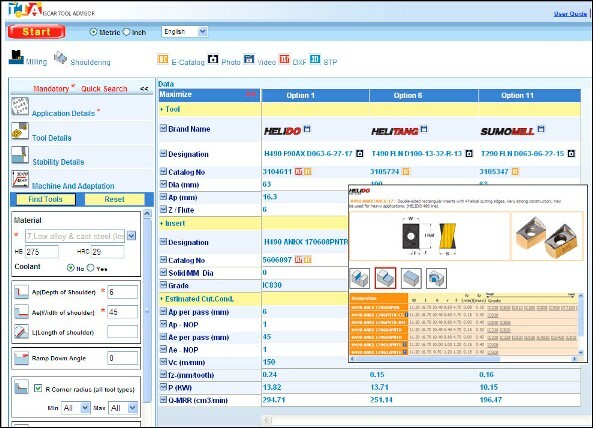 ITA (ISCAR Tool Advisor) is a user friendly web based tool selection software that is constructed upon a unique mathematical algorithm. The importance of tool selection is paramount in maximizing productivity and thus should be based scientifically on objective and empirical technical data rather than any conventional intuitive method. The ITA application provides an effective process of narrowing down all possible tooling scenarios, taking into account cutting conditions, machine power, metal removal rate and cutting time. Even for a simple application – such as milling a 90 degree shoulder of low alloy steel, 10 mm height and 10 mm width – tools selected by ITA delivered more productivity compared to manual tool selection done by industry experts. ITA delivers profitability. 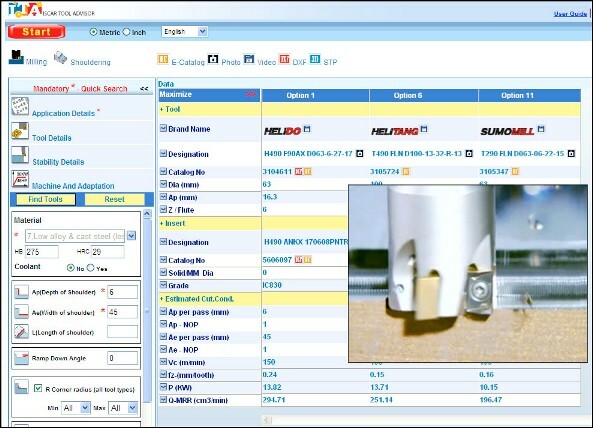 Users can enter only a few mandatory fields (2 to 6) for quick results or complete more detailed fields specifying machine parameters, tool diameters, tool type, grade etc…The application provides the 3 best tooling options but can display up to 25 tool recommendations per application search. Results include tool details, insert details, cutting conditions, power, metal removal rate and cutting time. Each search has a printable recommendation report valuable to the user. ITA supports both inch and metric platforms and supports 25 different languages. Users can link to the ISCAR electronic catalogue, 2D and 3D tool drawings, product videos and pictures. ITA can send users via email a pdf file that includes the input and output for each application search. The ITA software is available free of charge, 24 hours a day, 7 days a week with a direct connection to an ITA support team.. Immediate access can be obtained at www.iscarmetals.com or by going directly to www.iscarmetals.com/ITA. The application can also be uploaded and used on any iPhone or iPod Touch, making all of ISCAR’s technical information available and accessible to any user via the internet, Wi-Fi or mobile connection.